Just canceled my plan with them. They are alright I have to say except that support was a bit slow or slower than I would have expected. My OpenVZ server isn't useful now as my slice at Slicehost is up and running and I think LAMP is my comfort zone. I have not managed to get LEMP running after all. There are more optimization and tweaking I have to learn about Apache, MySQL and PHP so I'll stay with my 256slice for the moment. For the first time then I run apache2ctl configtest I have just Syntax OK and nothing else. I'm so happy. of course with other directives as required. After a apache2ctl graceful I have 82M used and 173M free from free -m. Further tweak was commenting out mpm_worker_module and use prefork MPM (multi-Processing Module) which is default for Linux and recommended if PHP is run as a module. Eventually have my subdomains setup correctly last night. Subdomain using namebased virtualhost is like an ordinary domain therefore the key is setting the DNS records right. One other setup which may also be key is to add (create if it's not there) below lines to this file /etc/apache2/conf.d/virtual.conf. Also the first line #NameVirtualHost * in all site config files stored under /etc/apache2/sites-available should also be commented out. Last night I also have Shorewall installed, transferred content from this site using WXR export to that WP test site. During import found that I have chmod 777 . folder /wp-content/ such that the uploads folder can be created by the import script. May be my apache or mysql aren't properly optimized yet as I found out from stat at SliceManager that CPU was running flat out. I did a soft reboot and it's now back to normal. free -m gave me 88M used out of 256 which is weird as I remember seeing a lot more consumed last night. Webmin is a server admin package to make administration easy via web interface rather than command line. There are few howto available and I followed this one for 7.10 at my VPSLink server. Last run the install script dpkg -i webmin_1.370_all.deb. That will be it, simple, supposed to be. Supposingly I don't have to install *AMP stack before this as Webmin will install Apache for me. I tried that but it just didn't finish. At the end I did a apt-get -r to remove webmin and started over again. 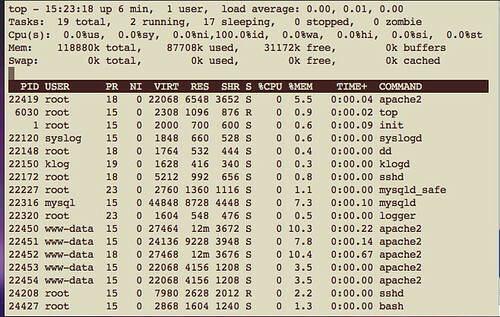 I guess it would be better if I have Apache2 installed first and let webmin to auto detect it. Now I'm pretty good at this the standard drill would be adduser then edit file /etc/sudoers followed by update and upgrade. Did also a reboot shutdown -r now, login again then install build-essential. Next step was installing php5 by apt-get install php5-cli php5-cgi php5-mysql php5-xcache. Following advice from here file php.ini located in /etc/php5/cgi/ was also edited. * Starting MySQL database server mysqld ...fail! Package mysql-server-5.0 is not configured yet. which I have dealt with before. Next was nginx which I have done before I followed this instead of the famous howto in howtoforge (the only one I could find). I don't think I need ssl so I omitted the switch --with-http_ssl_module. The error was exactly as last time /usr/bin/php-fastcgi: Permission Denied. Nginx was started OK but not PHP, search goes on! I have been extremely busy at work so didn't spend much time tweaking my servers. I have also been switching between VPSLink and Slicehost, meaning also that I have been playing with 6.06 LTS (Xen) and 7.10 (OpenVS) at the same time. 6.06 LTS has caused pain due to a few missing extenions such as PDO/PDO_MySQL and PHP not meeting requirement of Habari. That was a real good practice to learn downloading from source and compiling it. Setting up DNS and vhosts have also been a problem, thinking about it again perhaps I probably don't need virtual hosting as I will be merging 2 of my sites as one, so why the hassle? 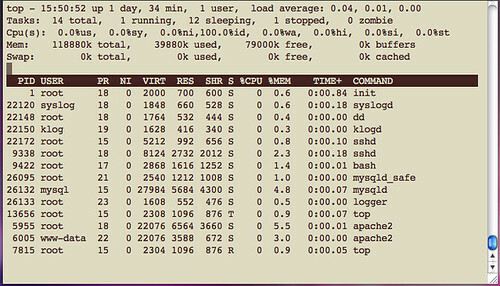 Last night I successfully installed nginx at my Xen server however getting fastcgi to work proved to be not that easy. I guess I'll rebuild OS and start again. Perhaps I'll give webmin a try when I'm tired of setting things up. My VPSLink plan is coming to an end very soon so I'll have to hurry up my learning on that server. It was troublesome but at last I did it. I googled it and found someone has done this before on 6.06 the good howto is here. The author was able to pecl install pdo then downloaded from source and compiled in the server the pdo_mysql driver. I wasn't that lucky I have to start from PDO extension first using the same method. to the bottom of files /etc/php5/apache2/php.ini and /etc/php5/cli/php.ini. Don't forget to start apache again by apache2ctl restart. Watch careful for errors when it's complied (make) and installed (make install) or else you'll be like me doing this more than once. passwd root to change root password then adduser newusername and used visudo to edit /etc/sudoers file adding newusername ALL=(ALL) ALL to the end of the file. I then used a new terminal window to make sure I could login using newusername before exiting as root. I then did sudo apt-get update and <sudo apt-get install localeconf language-pack-en which turned out to be not necessary. The sudo apt-get upgrade was also not necessary may be the image is already the latest one. After that I need to get some essential packages by sudo apt-get install build-essential. Let's look at memory again when that was done. I'm looking for a good howto in order to use nginx as frontend and Apache2 as backend. I picked Gutsy Gibbon 7.10 and after reading this article I might just rebuild it to 6.06. I won't be doing anything fancy so may be security and stability are my best friends. I had a little trouble yesterday when transferring my new domain name to Slicehost. I followed the good article here of course but I wrongly read the part about creating records for all 3 nameservers for NS entry. I created 3 A records for 3 nameservers. My shout for help didn't get heard in the forum so I emailed support who showed me the right way. I can see that 36.4% of memory available has been used by the OS running idle. Most of the nodes are Level3's. I also have email from Slicehost this morning saying that my slice is ready, so I won't be switching in VPSLink. Reading this article I want to switch to Xen. I emailed support 3 days ago, since then an email a day, so far I hear nothing. May be they'll need me to cancel this plan and join again because OpenVZ and Xen are two different plans. Well if that's the case please tell me. There is a good article in VPSLink's Wiki to follow in order to optimize Apache and MySQL to fit small VPS plans. 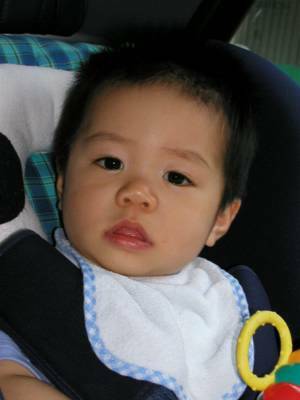 In particular there is an article referenced which tells me more about how Apache works. I followed recommendations in this article because I'm having a Link-2 plan. Below is output of 'top' after my first optimization. Of course as recorded above was only memory used right after a Apache restart. 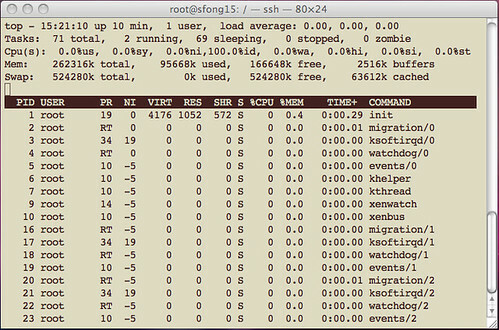 During actual running there'll be 5 instances (PS: nearly 59% of memory used) of Apache instead of initially 2. No troubles no learning. I started to have a few with VPSLink now. Yesterday I imported database of size about 2 Mb into my Habari install and used WXR to import content of this site into my trial WP install in my Link-2 plan. This plan has 5G storage and 128Mb RAM running under OpenVZ. During import I have to increase the upload file size to 10M in /etc/php5/apache2/php.ini. I started to have problem of logging in via SSH and got below error when clicking around in my WP site. Fatal error: Out of memory (allocated 786432) (tried to allocate 77824 bytes) in /var/www/blog/wp-includes/classes.php on line 477. Very soon after that I have been refused login by ssh_exchange_identification: connection closed by remote host and can't even do a ls because of fork: cannot allocate memory even if I have logged in. Technical support said I better upgrade to Link-3 plan with 256Mb RAM because Link-2 is not meant for dynamic site with database backend. I said my sites aren't even public and I was the only visitor clicking? If I could do this at a 64Mb RAM plan with Budget Dedicated why can't I do this with VPSLink? Support said they have turned off MySQL server in order to let me do SSH login. I don't think they should be messing around that way because I have rebooted my OS last night and have no trouble since then. Anyway I'll see if I could slim down Apache and MySQL a bit tonight. For record below is output of 'top' after my first reboot. I started over again by rebuilding OS. The web interface is quite nice so it was easy selecting ubuntu 7.10 to start over. Now I'm back to LAMP instead of LEMP. After rebuilding the OS logging in was a problem, something new learnt. The RS key fingerprint of the server wasn't retained hence I couldn't login. More reading from here which tells me how SSH host key protection works. I have to clear fingerprint left over at /.ssh/known_hosts in order to get in. After that installing LAMP wasn't difficult as I have successful steps written down in this entry. Not really I found. Installation of mysql-server wasn't OK and I got failed on starting. The error was E: Sub-process /usr/bin/dpkg returned an error code (1). From the VPSLink forum I found the solution, i.e. it is a InnoDb memory related issue which requires more memory of server to run. Workaround is to disable InnoDb by uncommenting skip-innodb in /etc/mysql/my.cnf. Reading what Innodb is from here I don't think it's needed at my sites. Now I have phpmyadmin working and a test WP site running latest svn revision at blog.example.com. There is a nice tutorial for installing LEMP in howtoforge here. I saw that nginx was running but getting php to run was a bit difficult. Fastcgi was the hurdle and trick is to get spawn-fcgi bundled in lighttpd, i.e. install lighttpd but don't start it. Conclusion I'm not ready for nginx, that's for geeks not me. By the way nginx isn't listed under servers in Fastcgi's official website. Decided to give VPS a try, I picked VPSLink. I asked their support about differences between Xen and OpenVS they pointed me to this. Decided to give OpenVS a try. Brought a new domain name at GoDaddy at 10:16pm, paid up VPSLink-2 (5G storage and 128M RAM) for 1 month at $14.95 at 10.24pm, changed DNS information and created 'A' record of my domain name following instruction in Wiki here. I logged into my server using the new domain name at 10:29pm. That was all very quick and I don't have to remember IP address now. Now I wonder if I should be using nginx or Apache.